Fermentation is nature’s magic wand. It turns fresh foods into exotic delicacies. This process has a mind-blowing and extremely simple preparation to its credit – Sauerkraut. Sauerkraut is made from fresh cabbages that are fermented over weeks. It is a premium tastemaker. Sauerkraut can not only change the face of boring lunches, but it can also boost your immunity, manage anxiety, and combat obesity. Join me in discovering the benefits, and, of course, the recipes to make sauerkraut. Scroll down! What Is The Science Behind Sauerkraut? What Is The Right Way To Store Sauerkraut? Sauerkraut (pronounced as /ˈsaʊɚˌkɹaʊt/) is a fermented food. It is one of the most common and oldest forms of preserved cabbage (like kimchi). Sauerkraut contains a large quantity of lactic acid, vitamins A, B, C, and K, and minerals and has few calories (about 80 kJ/100g). Sauerkraut can be traced back as a food source to the 4th century BC! Historically, it served as a source of nutrients during the winter months when fresh food was scarce. This is because proper fermentation preserves the nutritive value of cabbage while creating desirable sensory properties. Hippocrates also described sauerkraut as a health food and medicinal remedy in his writings. Sauerkraut is popular in Central and Eastern European cultures, though it can be found in Western European cuisine and the Americas as well. So, how does a cabbage head sitting in your refrigerator turn into a low-cal superfood? Here comes the science. When you combine cabbage leaves with salt and leave them tightly covered in a cool and dry place for a couple of weeks, you are triggering anaerobic fermentation. The resident bacteria in the vegetable and the trapped air are mostly lactic acid bacteria (LAB). These LAB break down and utilize the sugars present in cabbage to grow in there. The salt draws all the excess water from the leaves. While they grow, LAB convert complex biomolecules from cabbage to simpler bioactive ingredients. This is why LAB are of critical importance for successful fermentation. They produce organic acids, bacteriocins, vitamins, and flavor compounds responsible for many of the characteristic sensory qualities of sauerkraut, including extended shelf life, flavor, and nutritional content (1). These bacteria are also known to have high probiotic and gut-friendly properties. Is that it? Fortunately, no! Read on and see the magic of LAB-infested cabbage unfold. All cruciferous veggies have a distinctive smell that protects them from insects and carnivores. The same compounds – isothiocyanates, glucosinolates, ascorbigen, and ascorbic acid – protect us from cancer. They decrease DNA damage and cell mutation rate in cancer patients. Sauerkraut is known to have a high content of these compounds (2). However, the level of concentration strongly depends on the fermentation conditions of the cabbage. That’s why the evidence is inconclusive. In olden days, certain veggies and cooked foods were fermented to improve their shelf life, safety, and taste. But, recent research says that fermented foods have enhanced nutritional and functional properties. This could be because the bioactive substrates get transformed into bioactive and more bioavailable end products. Also, there is a possibility that sauerkraut contains bacterial and other microbial strains that are genetically similar to those used as probiotics (3). Having 7-10 g of sauerkraut every day can improve digestion by maintaining a healthy gut and its microbiome. Say bye to the leaky gut! Heart diseases are a result of many factors, including increased oxidative stress, thickened and toughened blood vessels, imbalance of calcium ions, inflammation of muscles, nitric oxide accumulation, etc. 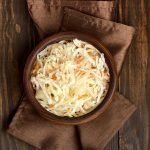 Since cabbages contain glucosinolates, isothiocyanates, and other phenolic compounds, their fermented versions – sauerkraut – too can protect your heart. How? 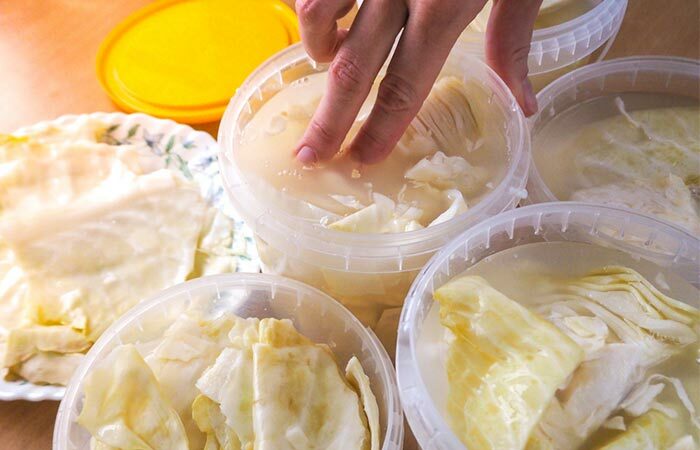 Sauerkraut can prevent nitric oxide production, reduce oxidative stress, restore mineral balance, and control the production of pro-inflammatory chemicals (4). All these benefits are due to the enhanced phytochemical levels and vitamins C and E.
Contrary to our beliefs, fermented foods like sauerkraut have nutritional value (you’ll know soon!). Fresh sauerkraut is a reservoir of vitamins C, K, and folate and minerals like calcium and sodium (4). All of these are essential for bone building and have potent anti-inflammatory properties. Including sauerkraut along with cruciferous veggies in your diet can prevent age-related bone degenerative diseases, i.e., osteoporosis and osteoarthritis (5). But, beware of high-sodium sauerkraut preparations. They cause calcium loss via urine. Hence, pick a low sodium variant or have a fresher batch of it. 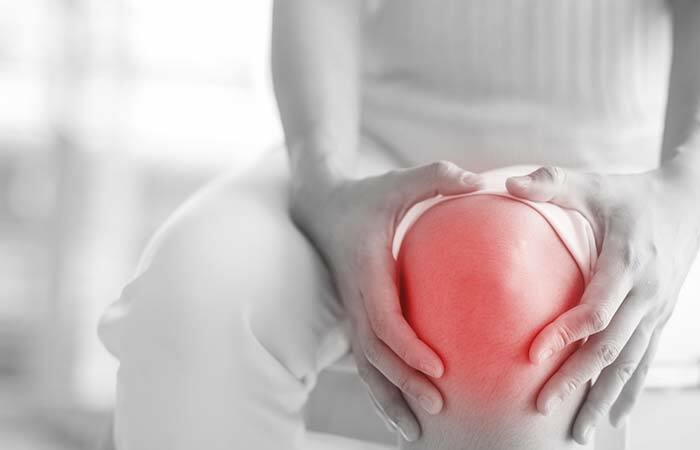 Chronic inflammation plays a critical role in various chronic diseases. Our immune system cells produce different pro-inflammatory chemicals or mediators like nitric oxide, eicosanoids, and cytokines. One of the most effective ways to tackle inflammation is to regulate or block the production of these mediators. The good news is, sauerkraut can suppress nitric oxide production (4). In fact, it has a higher potency than fresh cabbage. The phytochemicals in sauerkraut also inhibit the synthesis of cytokines, eicosanoids, and other prostaglandins at the molecular level (4). Hence, the right sauerkraut, in combination with precise medical care, can prevent and treat arthritis, irritable bowel disease (IBS), asthma, gastric ulcers, and, in some cases, diabetes. 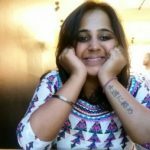 Recent research and medical studies have established that your brain and gut are connected. There is bidirectional communication between the brain and gut. Dysbiosis of gut microbiota is associated with anxiety and depression. But, the administration of probiotics produces anxiolytic- and antidepressant-like activities in animal studies. 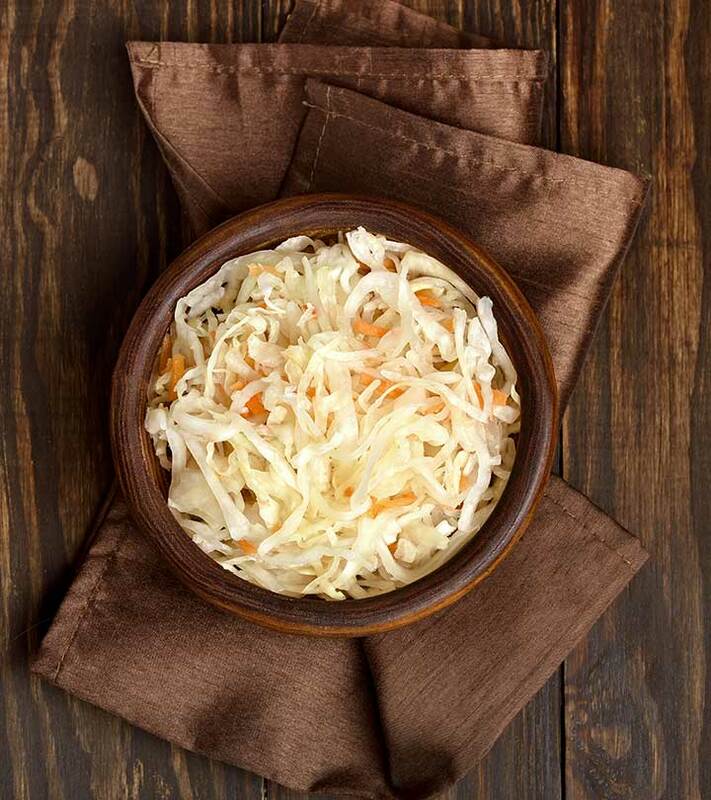 Plant-based fermented foods like sauerkraut have abundant probiotic microbes – like Lactobacillus – that improve cognition and mental health (6), (7). Also, as it exhibits anti-inflammatory and antioxidant activities, sauerkraut might delay age-related and inflammation-induced neurodegenerative disorders. That’s indeed surprising, isn’t it? Most of us must have taken sauerkraut for granted. Little did we know about the big picture! Wonder what gave sauerkraut all the superpowers? Yes, its nutritional and phytochemical composition. Want to know more in detail? Get to the next section, right away! Sauerkraut is loaded with active biochemical ingredients that enhance its nutritional value. Sauerkraut contains phenolic compounds and glucosinolates. Sinigrin and glucobrassicin (examples of glucosinolates) play an important role in cancer prevention. Fermented cabbage is also considered a good source of antioxidants and organic acids such as lactic acid, acetic acid, propionic, malic, and succinic acids. During fermentation, many breakdown products like sulforaphane, allyl isothiocyanate, iberin, iberin nitrile, and allyl cyanide were found in the cabbage. Research is being carried out on these products for chemoprotective, antioxidant, and anti-inflammatory properties (4). This is a goodness overload alert! There is so much nutrition in a small bowl of fermented cabbage that you’d want to have it along with each meal daily, wouldn’t you? For those of you waiting to get your hands on this simple side dish, I have a surprise! How about making a small batch of sauerkraut in your kitchen? Sounds nice? Then, let’s get to the kitchen and ‘ferment’ a storm! Making sauerkraut is an art. But, we’ve made it super simple for you. This will take just 30 minutes of your time (and, of course, the 5 days of fermenting). But still, you DON’T have to cook! Wash a large tub or bowl thoroughly. Rinse with boiling water from the kettle. Use a container that will comfortably fit the softened cabbage. It should have several inches of room at the top to avoid overflow. Make sure that your hands, and everything else coming into contact with the cabbage, are very clean. Shred the cabbage thinly using a food processor or a good knife. Arrange the cabbage leaflets in the tub or bowl and sprinkle the salt. Mix the salt into the cabbage thoroughly for 5 minutes. Wait for another 5 minutes and then repeat. You should end up with a reduced volume of cabbage sitting in its own brine. Mix in the caraway seeds and the peppercorns. Cover the surface of the cabbage entirely with a sheet of cling film. Press out all the air bubbles from below. Weigh the cabbage down using a couple of heavy plates or other weights that fit your bowl and cover as much of the cabbage as possible. You will notice the brine levels rising to cover the cabbage a little. Cover the tub with its lid (or more cling film) and leave it in a dark place at cool room temperature (about 18-20°C) for at least 5 days. Sauerkraut should be ready after 5 days. For maximum flavor, leave the cabbage to ferment for anywhere between 2-6 weeks (or until the bubbling subsides). The cabbage will become increasingly sour the longer it is fermented, so keep tasting it now and then. When you like the flavor, transfer it to smaller sterilized jars. You can store it in the refrigerator for up to 6 months. It sure would be fascinating to see some Biochemistry happening every day – and that too right in front of your eyes. Wouldn’t it? Check the cabbage every day or so. Unwrap and rewrap the mixture, releasing any gases that have built up as it ferments. Alternatively, you may stir the cabbage to release the bubbles. If any scum forms, remove it. Rinse the weights in boiling water and replace the cling film. You should always see bubbles appearing within the cabbage and possibly some foam on the top of the brine. It’s important to keep it at an even, cool room temperature. Too cold temperatures will delay the fermentation, and too warm temperatures would cause the sauerkraut to become moldy or ferment too quickly. Either way, you’d not get the perfect sauerkraut. Natural fermentation enhances the nutritional profile of sauerkraut. It is, therefore, more potent in fighting cancers, metabolic disorders, bone and brain issues than its fresh counterpart. How about filming the process of making sauerkraut and the fermentation (through 5 days or 2 weeks) in a time lapse? When you run the video, you’d appreciate the beauty of nature and one of its magical processes – fermentation! The kids would love it too! You can thank me later – because I have a surprise for those busy bees reading this. If 5 or 15 days is too long a time for you to spare, and you wish to make sauerkraut at home, I have a shortcut. Cover the bowl with a large piece of plastic wrap and seal the edges. Microwave the mixture on high, for about 4 to 5 minutes. Bring the bowl out and let it sit covered. Leave it until the cabbage has absorbed its brine, and the bowl is cool to touch. This would take about 15-25 minutes. Unwrap the bowl and serve along with creamy ramen or any meat entrees. You can choose whichever way to make a batch of sauerkraut. But what’s critical is the way you store it. If stored the right way, sauerkraut tastes excellent for months and years together. So, let’s find out how you can do that. Fully fermented sauerkraut may be either canned or stored. In a large kettle, bring the kraut and liquid slowly to a boil for about 15-20 minutes, stirring frequently. Remove from the heat and fill the sterilized jars with kraut and juices, leaving about ½ inch headspace. Fill the sterilized jars firmly with kraut and cover with juices, leaving about ½ inch headspace. Wipe the jar rim and adjust the lid clamps. Meanwhile, keep sufficient water to boil. Lower the heat and let it slow boil. Place the covered jars in this water and allow it to process. Fill the pint- or quart-sized freezer bags or reusable ridge plastic freezer containers. Fill up to 1-2 inches from their tops, squeeze out the air, seal and label them. You can now freeze these bags for 8-12 months. Sauerkraut is a low-calorie food with abundant vitamin C and sodium. And it is finding its way to popularity for all the right reasons. We’d be waiting to know how the experience was. Please share your feedback, suggestions, and queries in the comments section below. How much sauerkraut is safe to eat daily? Sauerkraut is high in sodium. A cup or 150 g serving will provide approximately 40% of your RDA sodium intake (2.4g). Keep an eye on your salt intake if you add sauerkraut to your diet. How long can you keep sauerkraut in the fridge, once opened? If it is store-bought and not a live culture, sauerkraut may stay for a week or two. If it is a properly fermented live sauerkraut, you need to start by storing it at room temperature for up to a week. Then, it will last for months in the fridge. If you find white scum formed on the sauerkraut during this time, discard the batch. Transfer sauerkraut in smaller quantities to avoid wastage. Open one bottle after another to enjoy it across seasons.